A few days before Christmas 2017, all the delicious taste and creativity of the Milanese Christmas cake par excellence comes to the Galleria Vittorio Emanuele II: on Sunday, December 17th at 16:30 a lot of lucky people will be able to taste a piece of the ‘biggest panettone in the world’ specially prepared by the pasticceria San Gregorio. The cake (weighing 140 kilos and over 2mts high and 80 cms in diameter) will produce more than 1200 slices of deliciousness lovingly prepared following the typical certified recipe of Milanese artisan tradition: there will certainly be enough cake to please a lot of people, whether Milanese or visitors to the city, and to create a convivial and hospitable occasion under the magnificent glittering vault of the Ottagono in the Galleria. It will not be the only initiative dedicated to the Milanese Christmas cake: thanks to the local master bakeries and confectioners, a series of tastings will be planned across the city during the weekend. All these can be found on the special map that will be distributed during the period giving indications of all the shops adhering to the ‘production criteria’ for a DOC panettone. Thirty centimetres tall and mounted by a dome, the typical Milanese sweet has predominated on the table at Christmas from the 15th century because of its softness and elegance. In the past, it was a typical Christmas sweet used exclusively by the Milanese and today it can be found on tables throughout the world. 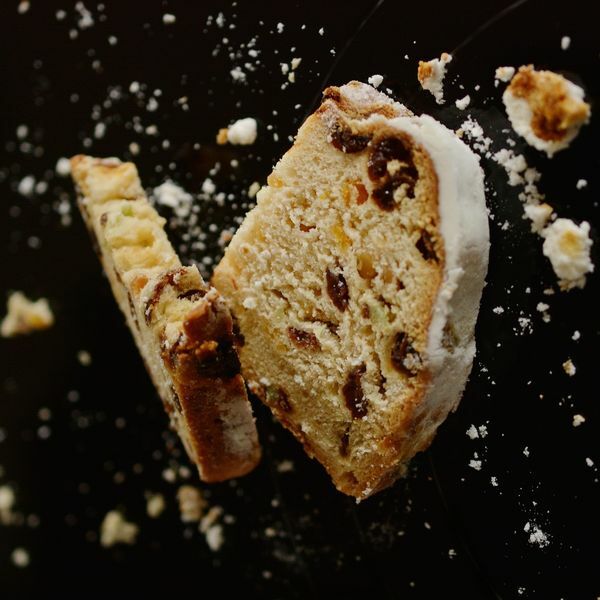 Garnished with raisins or candied fruits, the panettone is today one of the most loved Christmas sweets. This simple dough is derived from yeast, butter, eggs and flour and it endears itself to the most gluttonous of palates. It is delicious when accompanied by coffee, sweet wine or spumante, custard, chocolate or zabaglione. There are many legends that have reference to its beginnings that attest to the origin of the name as “pan di Toni” (Toni’s bread). It is said that the boy who worked in the kitchen of Ludovico il Moro, invented a sweet bread with butter, candied fruit and leftover dough to correct a dessert that had been burnt on Christmas Eve. A legend tells of a story that takes place in the 15th century when Ludovico il Moro was the Duke of Milan. It begins, one evening when the Duke's cook was asked to prepare a delicious banquet, for himself and a number of nobles. The cook was successful in his feast, however, he had forgotten about the dessert in the oven, which had burnt by the time he realized. The cook was in despair but thankfully the little kitchen boy, Toni, suggested using the sweet cake he had made for himself in the morning using flour, butter, eggs, lime zest, and raisins. The cook was afraid he had no other solutions, so agreed to offer the cake to the guests. They both nervously stood behind the door to see the reactions of the Duke's friends. To the cook's relief, everybody loved the cake. The Duke enjoyed it so much that he asked for its name. The cook responded "L'è 'l pan de Toni", meaning 'the bread of Toni'. The name has since evolved to Panettone.